The task force investigating a series of shootings in Northern Colorado say shots fired at a school and a hospital Sunday in Fort Collins do not appear to be related to the other shootings being investigated. However, if they are later proved to be connected, the reward for the person or persons responsible could be increased. The task force announced Thursday that the reward for information has been increased to $50,000 and that authorities would like to speak to a specific anonymous tipster who contacted them on Aug. 17. "Task force investigators have followed up on the information you provided. However, more information is needed," a task force news release said. "You are encouraged to contact the task force again, by any method you are comfortable with, and give specific details to support why you believe what you have already reported is accurate." Officials also announced the task force is being expanded to include investigators with the Greeley Police Department, Fort Collins Police Department, and the Colorado Bureau of Investigation. Cori Romero , a Milliken woman, was shot in the neck while she was driving on Interstate 25, near Harmony Road, on the night of April 22. She survived and has been released from the hospital. John Jacoby, 48, was shot and killed on the morning of May 18 while riding his bike north of Windsor, on County Road 15, just south of County Road 72. A motorcycle rider was shot at on June 3 , at approximately 10:30 pm, while riding near the intersection of Denver Drive and East 18th Street in Loveland. The person was not injured. Also on June 3, at approximately 10:45 pm, William Connole was shot and killed while standing at the intersection of East 1st Street and North St. Louis Avenue in Loveland. Windsor Police Chief John Michaels said the first two shootings (Romero and Jacoby) were linked. Michaels would not disclose what type of evidence was recovered, but sources confirmed to 7NEWS that there is a ballistics link between the two shootings. Larimer County Sheriff's Office spokesman David Moore said Wednesday that authorities believe the two shootings on June 3 are also related to each other, but the June 3rd shootings are not connected to the first two shootings. Shattered windows & other freeway shootings. 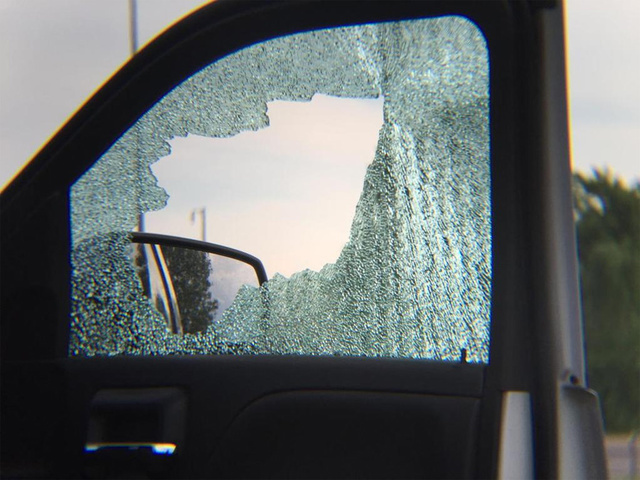 There have also been several incidents over the last few months of vehicle windows shattering on I-25 in Northern Colorado. However, so far, investigators have said there is no proof that any of those windows were shot at. 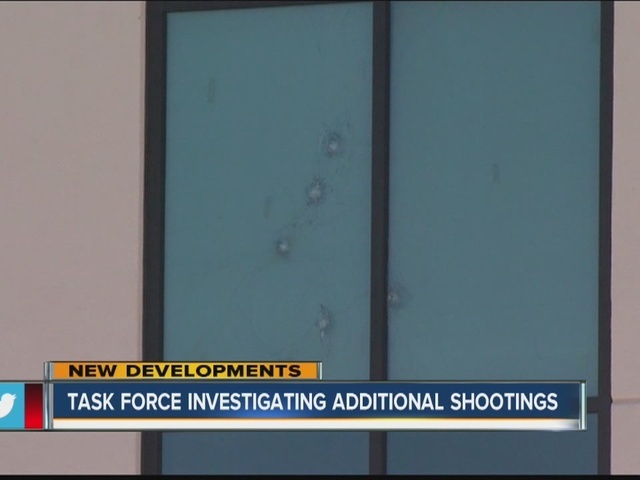 "To date, there has been no physical or forensic evidence recovered to indicate any of the reported shattered windows are related to the four shootings being investigated by the task force," Moore said Thursday. The task force also said it is monitoring seemingly random shooting incidents in the United States, such as the 11 confirmed freeway shootings in Phoenix. "To date, there is no indication that any of those incidents are related to the cases under investigation by the Northern Colorado Shooting Task Force," Moore said. Two buildings were shot at Sunday in Fort Collins. The Banner Fort Collins Medical Center on Lady Moon Drive reported that its building was damaged by a firearm. "The damage occurred to a portion of the building that was occupied at the time and no one was injured," law enforcement officials said. Authorities said Cottonwood Plains Elementary School on Turman Drive was also damaged by a firearm. "The task force will monitor and investigate the details surrounding those incidents; however there is no information to indicate they are related to the four original shootings," Moore said. Moore said the task force has processed more than 340,385 cell phone numbers, followed more than 2,550 leads, and conducted over 500 interviews. They are still looking for an orange pickup truck that they believe is connected to the June 3rd shootings in Loveland. Moore said task force investigators have followed up on 748 vehicles and looked at over 100 videos from businesses. Ten persons of interest have been identified and cleared by the task force. 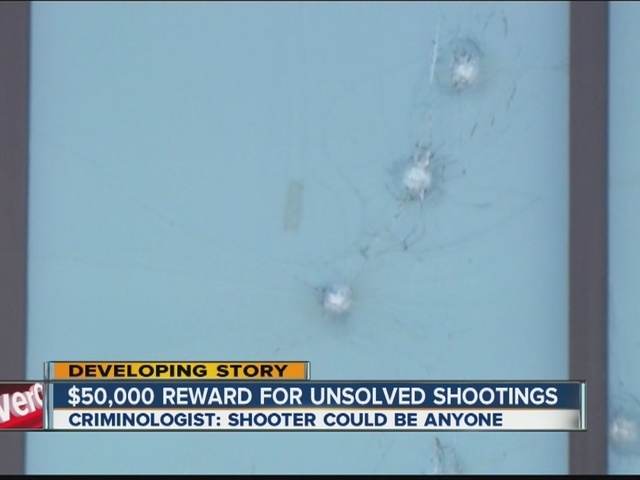 The task force announced Thursday that the Federal Bureau of Investigation is now offering up to $50,000 reward for information leading to the arrest, prosecution, and conviction of the individual(s) responsible for the four original shootings. The reward was $20,000 in June . "The task force is asking the public that if anyone has any information concerning these cases to please come forward. In so many cases like these, there may be several people who have information and believe that someone else has already come forward with that same information. Please do not make that assumption - come forward with the information you have whether or not you think someone else has already done so," the task force said. If you have information regarding the shootings, call the Tip Line at 970-498-5595 or email taskforce@larimer.org .